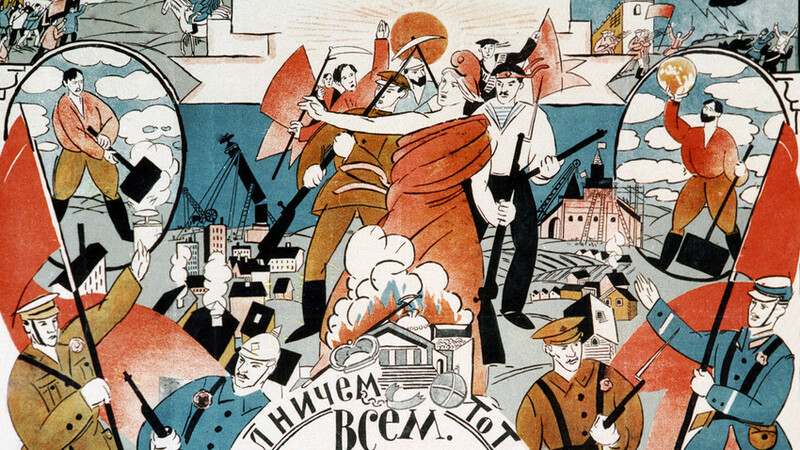 Promoting the ideals of equality and freedom on one hand, but absolutely loyal to Moscow on the other – Western communist parties were often caught in the crossfire, an annoyance and embarrassment to their own governments. Here is the story of how Soviet leaders tried to control and manipulate their allies behind ‘enemy lines’ in three Western countries. When the USSR collapsed in 1991, leaders of the U.S. Communist Party (CPUSA) were devastated and shocked – their entire world was turned upside down. “Up until the time the Soviet Union fell apart the CPUSA never made a single criticism of anything the Soviet leaders did or said,” wrote leftist publicist, Pete Brown. And he was right. Paradoxically, one of Marxism’s most hard-line parties (in their 2014 Constitution the CPUSA still pledges allegiance to Marx, Engels and Lenin) was born in capitalism’s main bastion. The American Communists gained popularity during the Great Depression when inequality rose drastically, and the CPUSA supported trade unions and the fight for worker rights. The Proletarian Revolution never made it to American shores, however. As Jonathan Lethem wrote in his novel, Dissident Gardens, after Soviet leader Nikita Khrushchev published his ‘secret speech’ in 1956 denouncing Joseph Stalin’s bloody purges, “the American Communists turned into the living dead.” After these revelations, the reputation of the pro-Stalin CPUSA was comprised in the eyes of most Americans. Add to this America’s anti-communist hysteria at the start of the Cold War, plus the constant spy scandals connected with communists, and you’ll understand that the course of events in the 1950s undermined the communist cause in the U.S. Nevertheless, they continued their struggle, joining anti-war and civil rights protests throughout the 1960s-1980s. 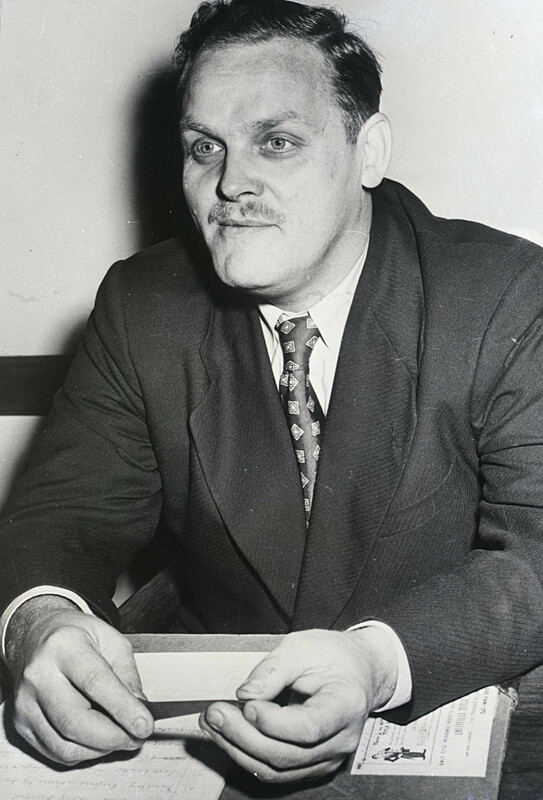 Still, the Soviets continued to back the CPUSA – there is at least one document proving that Gus Hall, CPUSA general secretary from 1959 – 2000, received considerable sums of money from Moscow. The world today barely remembers Eugen Fried (nom de guerre – “Clement”), and Michel Feintuch (“Jean-Jerome”). These two Communists from East Europe were the agents of Comintern (Communist International, Moscow-controlled organization) and pulled the strings of the French Communist Party (PFC) and its longtime leader, Maurice Thorez. 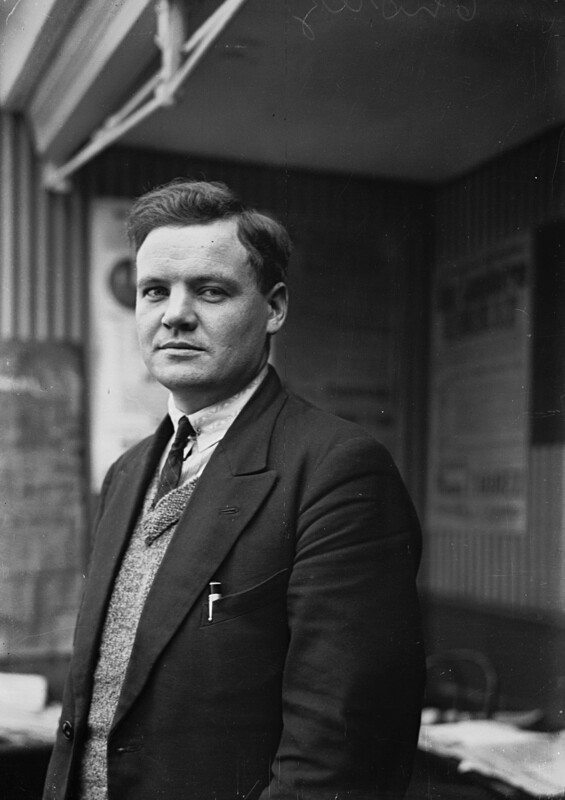 Maurice Thorez, the leader of the PFC, portrayed back in 1930. “His task was to make sure that orders from Moscow were executed thoroughly,” said French writer Anne Kling, describing Fried as “the man in shadows” of the PFC. He succeeded: Maurice Thorez’s public position faithfully followed each of Stalin’s twists and turns. In 1939, despite his critique of Nazism, Thorez opposed the war against Hitler when the USSR and Germany signed the Non-Aggression Pact. But when Hitler attacked the USSR then the PFC declared war against the Nazis and joined the Resistance (playing a glorious role in it). Thorez, however, stayed in Moscow throughout the war. After the war, with Thorez in charge, the PFC kept the Stalinist line. French communists remained loyal to Moscow, with Michel Feintuch (Fried was killed by the Nazis) secretly acting as the middleman between the USSR and the PFC until the 1970s. Only in the 1990s, after the USSR collapsed, the French communists shifted to the less-doctrinal Eurocommunism. Long-time Soviet leader Leonid Brezhnev and his government got a big shock in 1976 when Enrico Berlinguer, head of the Italian Communist Party (PCI), gave a speech in Moscow in which he basically said that his party will go its own way, with no regard to Soviet opinion. “It was evidently an uncomfortable development for Soviet Communists,” the New York Times wrote. 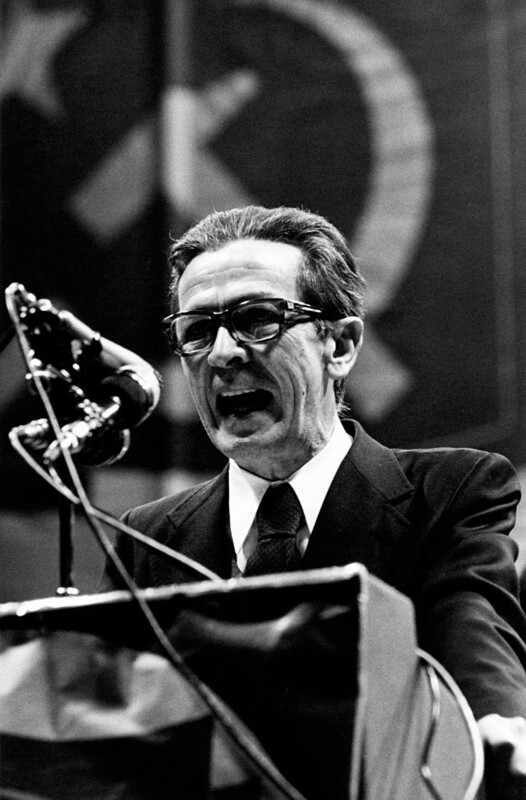 The Secretary of the Italian Communist Party Enrico Berlinguer, who made his party turn its back on the USSR, is speaking at a meeting, 1980s. ‘Divorce’ with the Italians was especially hard for Brezhnev because by 1976 the PCI was the most popular Communist party in the West, winning 34.4 percent of the vote in the general election. The PCI, with its history of fighting Mussolini’s regime and its tremendous popularity, had long been an important ally of Moscow. Berlinguer, however, ended the partnership, proposing the path of Eurocommunism (which most Communist parties in the West eventually followed), as a pluralistic and democratic system, free of Moscow’s agenda. In 1979, after the Soviets entered Afghanistan, the PCI entirely parted ways with the USSR. If you want to know more about the Soviet issues, check out our story on how Stalin’s henchmen fought for his throne after he died.